There are many reasons why I really am enjoying Tapestry of Grace. Aside from my love of history and watching my kids dive into school books, the writing assignments are fantastic!! Our writing assignments for the last couple weeks have been all about newspaper articles. I really appreciate the assignment because it gave us just enough of a target to shoot for, while leaving a wide area open for our creativity. It jives very well for us because we have a wide margin of writing ability in our classroom. My PreK child has done some artwork and dictated a couple advertisements for it. My 2nd grader chose to write an article about the swimming critter he liked best from our science book. My creative 4th grader not only wrote articles about kings, temples, and the art curriculum we are using, but she also created, all on her own, a word search. Because “you know, mom, real newspapers have those.” My 5th grader insisted that the newspaper have a weather report and an opinion article about Israel’s first three kings. We chose to do our newspaper on the computer so that anyone who wanted to could type their own articles. Mommy volunteered to type for the younger set 😉 Mommy also helped with the copying and pasting of pictures, charts, etc. It has also given the kids a little intro to computers and how they work. This is something I hadn’t planned for this year’s curriculum!! 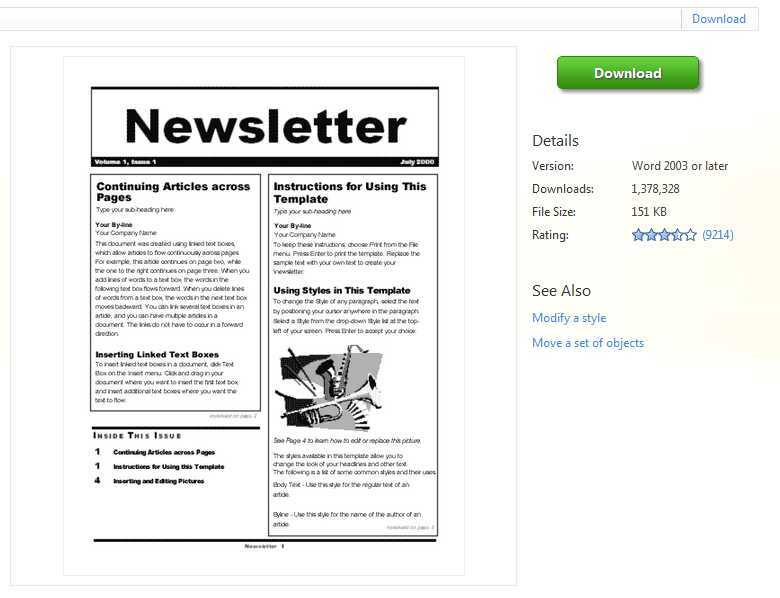 We found our newspaper template on the Microsoft website, in their Office Templates tab. We chose to keep ink usage low and chose the traditional newsletter version, all black and white. As long as you are using Word, you should be able to download this template for your version of Word right onto your computer, free of charge. The template is very easy to use! You just click inside the section you want to edit and type your articles! Another way of getting any online template is to open your Word application, choose ‘New’ from the drop down menu and allow the document templates to open. There should be a search window for you to attempt to locate ‘newsletters’. You will be allowed to choose what version of newsletter you want, including the template options of title, issue date, and other details. We are using the ‘elegant newsletter‘ version.